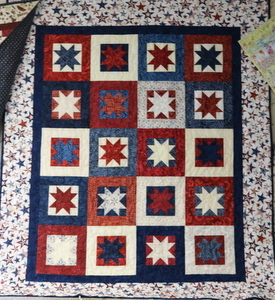 This Americana quilt has been very popular as a class project. The quilt measures 56″ x 66″ and is made using the new line of Timeless Treasures fabrics. Kits are limited in supply and can be purchased while available. This is a 4 week project on our class schedule.